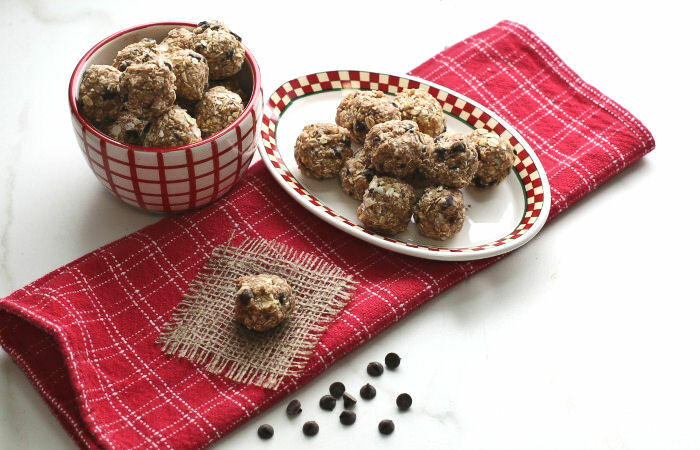 These no bake peanut butter balls make a great snack or light dessert. Honey, coconut and dark chocolate chips add a nice bite of sweetness and crunch to this delightful treat. Looking for a post workout snack that is healthy and still tastes amazing? Try these home made peanut butter coconut balls. They are super easy to make, low in calories, and ready in just minutes. What makes energy bites such a great snack? Energy bite recipes are very easy to put together. 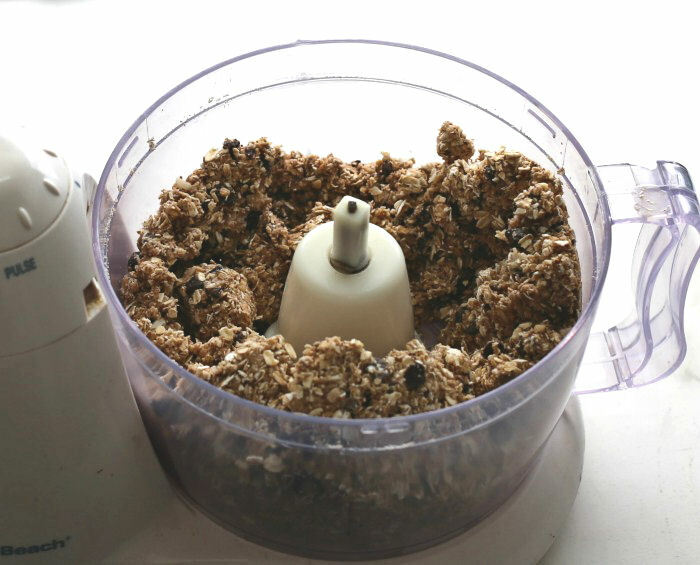 If you have a food processor, half your work is done for you in just minutes. Just add your ingredients and pulse and the mixture is ready to make into balls in about 5 minutes and ready to eat not much later! If you love recipes with easy clean up, energy bites are the way to go. No need to get our your mixture. Everything comes together in the food processor bowl and then just put it in the dishwasher to clean one pan. 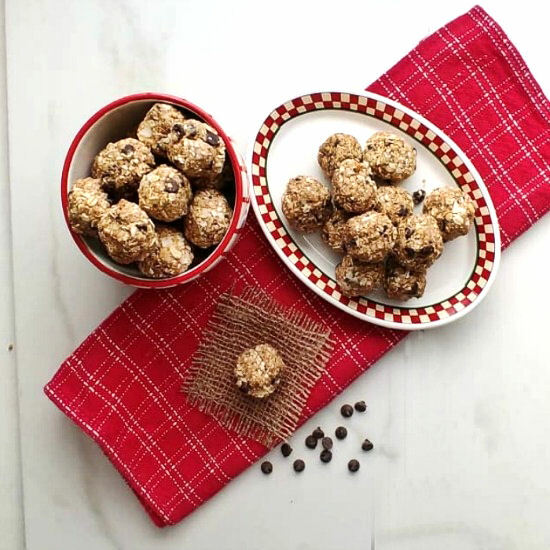 Energy bites give me the taste and fun of a cookie, but in a less sugary way without all the fuss of making cookie batter. 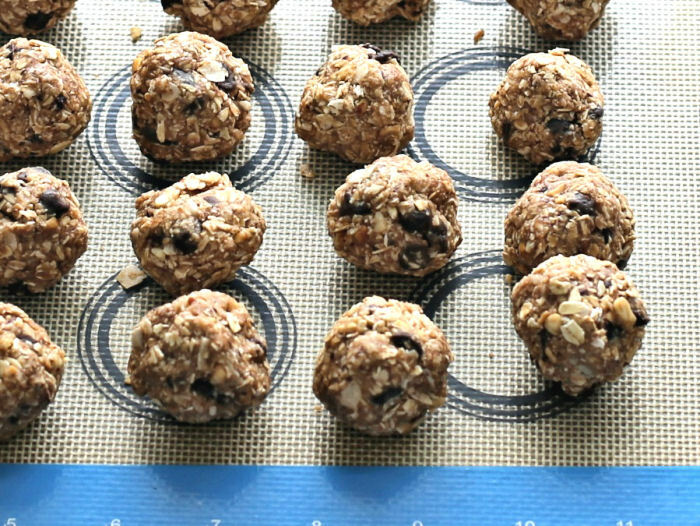 Depending on the ingredients, you can also get a lot of protein from an energy bite that you won’t get in a normal cookie recipe. The ingredients for energy bites can be as sweet or as healthy as you like. I used honey as the sweetener for this recipe, but maple syrup, medjool dates and coconut sugar are sweeteners that are other options. You don’t need to use refined sugar in this type of recipe, which means that that the bites will be healthier for you and won’t cause the sugar spike that granulated sugar often gives to sweet treats. Keeping these energy bites healthy (and low calorie) is easy. 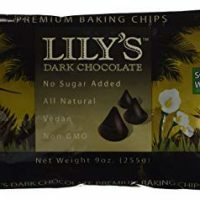 For today’s recipe, I chose unsweetened coconut flakes, some old fashioned oats and a new chocolate baking morsel that I just discovered called Lily’s Chocolate Chips. 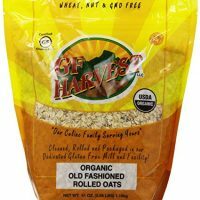 These morsels are sweetened with Stevia (a natural plant sweetener), Vegan and non GMO. And with only 50 calories for 60 morsels, they add a nice amount of chocolate to a recipe without a lot of sugar or calories. I use them for all my WW Freestyle sweet treats to keep the point value low, too. 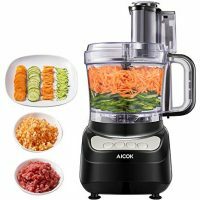 Start by pulsing your dry ingredients in the food processor. I didn’t over process them. Just a few pulses of the food processor gave me a less “oaty” consistency but left the chocolate chips pretty intact. Now you need something to bind the dry ingredients. For me, that was chunky peanut butter, honey, vanilla extract and a bit of almond milk. Just a few quick pulses and the mixture is ready to make into balls! Some energy bites require the mixture to go into the fridge before you can start forming the balls, but not so with this recipe! It was just sticky enough to be able to make the healthy energy balls right away. I used my hands and just scooped out enough of the dough to make 1″ balls. I got 30 out of my mixture. These easy peanut butter balls are slightly sweet from the honey and have a creamy flavor that comes from the peanut butter. 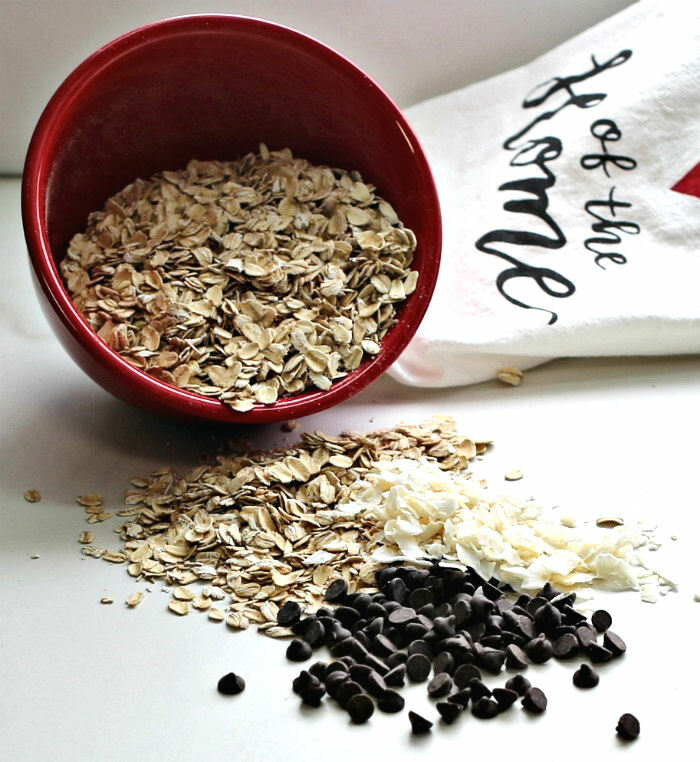 Dark chocolate chips, rolled oats and flaked coconut all add a nice bit of texture in every bite. I make energy bites all the time and this is one of the easiest and tastiest recipes I have tried to date. They really are very tasty! 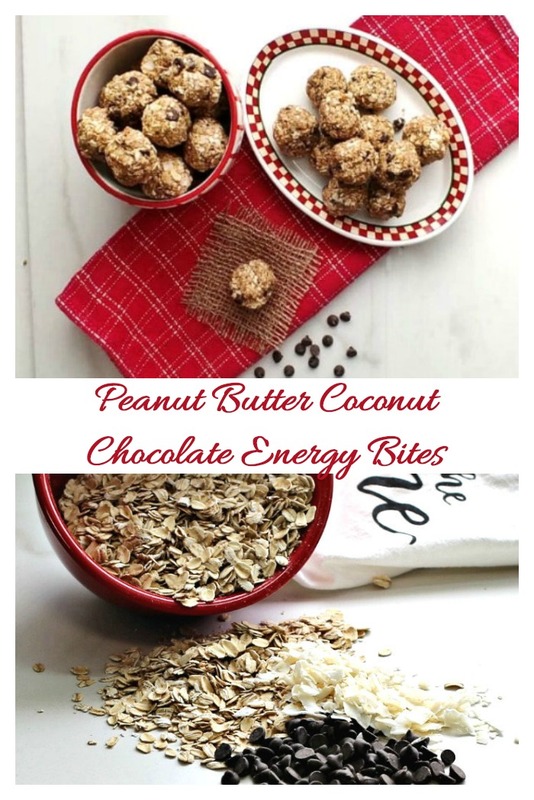 Each of these delicious no bake peanut butter balls has just 80 calories and is low in saturated fat and sugar. They have 2.1 grams of protein in each ball and work out to just 3 WW Freestyle points. The bites are low calorie and gluten free (check your label to make sure no cross contamination) and they make a perfect snack or light dessert. 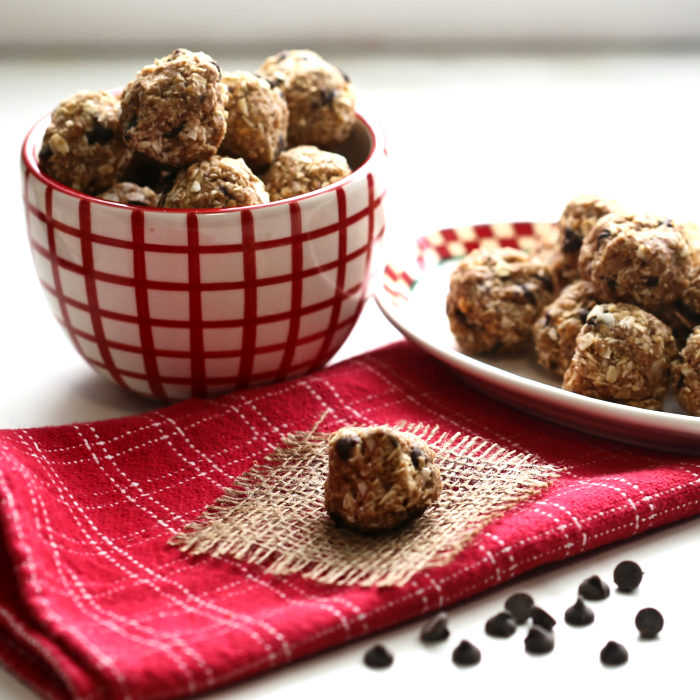 Would you like a reminder of this post for this easy no bake peanut butter oatmeal balls recipe? Just pin this image to one of your healthy cooking boards on Pinterest so that you can easily find it later. These no bake peanut butter balls are a recipe that everyone will like. My husband has quite a sweet tooth and he finds these just sweet enough. I love that they are low in calories and allow me to indulge in a sweet treat without breaking the calorie bank. You will love knowing that you can easily and quickly make a healthy snack for your kids that you will know is nutritious and they will love because of the taste. 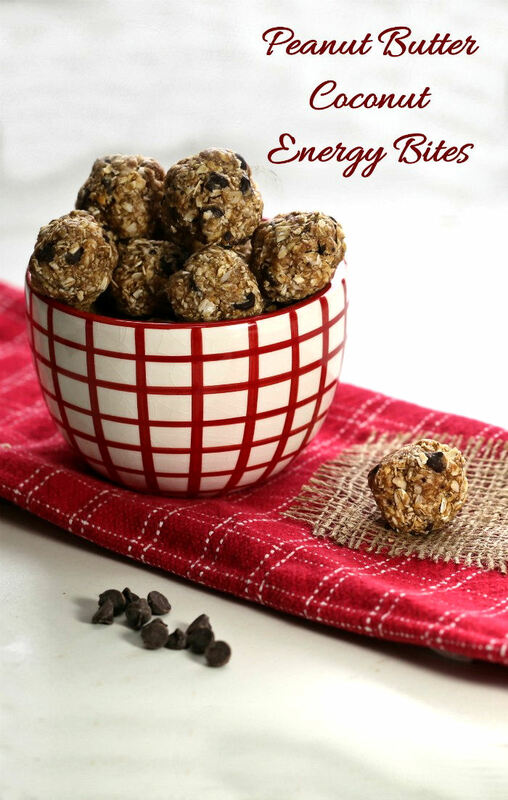 You can even use these energy balls as a breakfast on the go. Grab a bite (or three!) and out the door in a hurry on a busy morning! Just 8 ingredients and 15 minutes, and best of all? They just taste so darn good! These no bake peanut butter balls are sweet and crunchy and ready in just minutes. Low in calories - the perfect after workout snack! 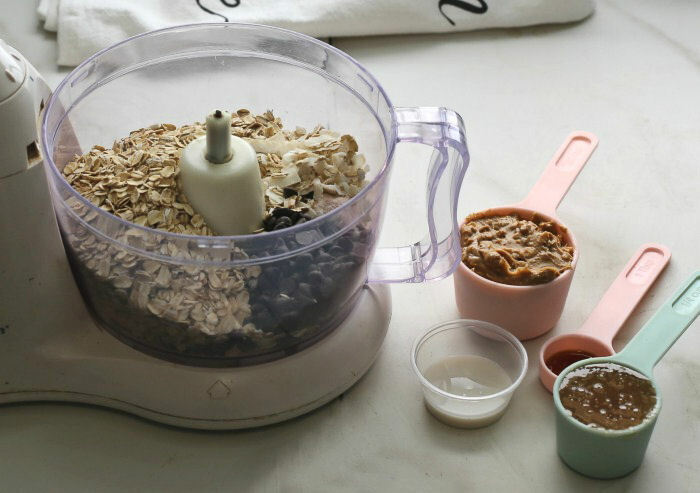 Add the rolled oats, chocolate chips and unsweetened coconut to a food processor. Pulse for a few seconds so that the oats start to break down, but the chips are still somewhat intact. Mix in the peanut butter, honey, almond milk vanilla and salt. Spoon out enough dough to make 1 inch sized balls. I got 30 bites from the recipe. Store in an air tight container in the fridge. This keeps the balls nice and firm and also keeps the crispy texture.